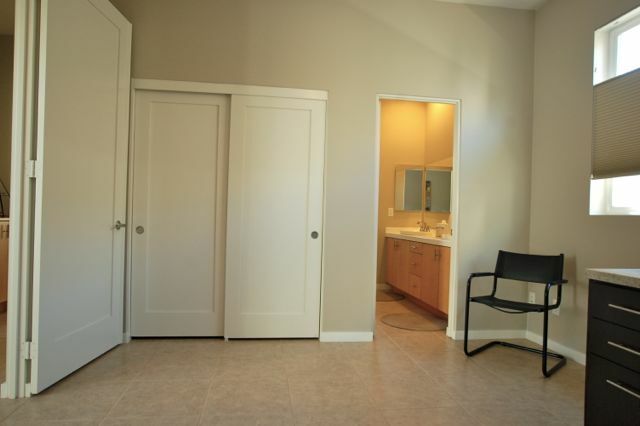 Change rooms to see more photos. 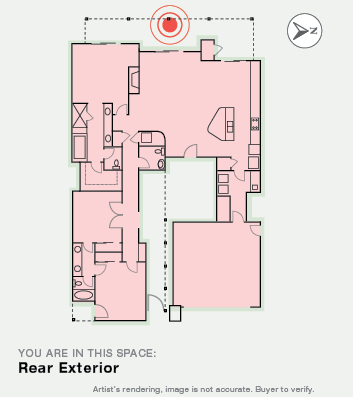 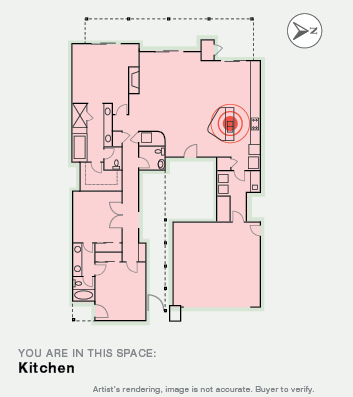 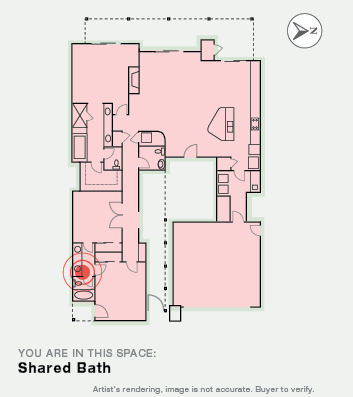 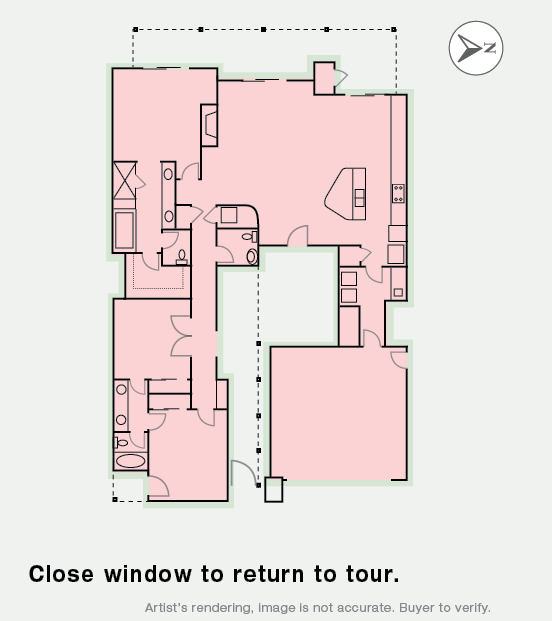 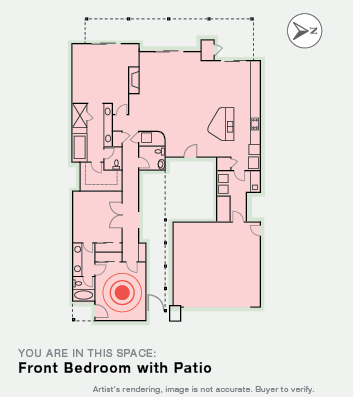 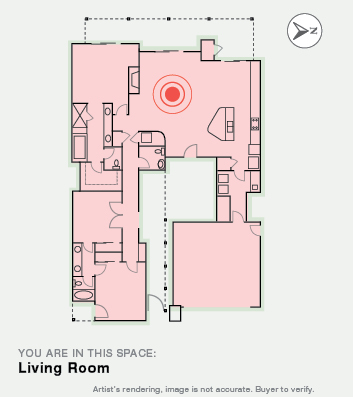 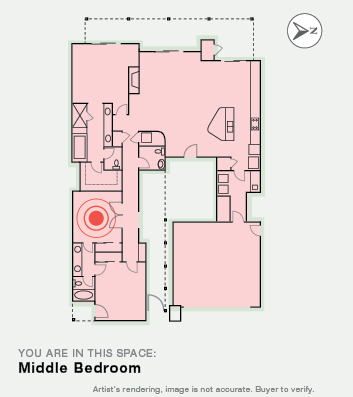 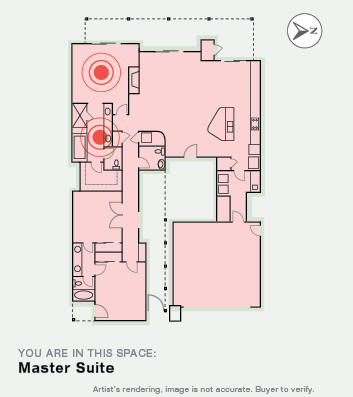 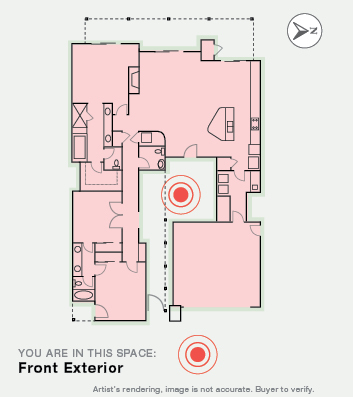 Click "NEXT>" under the floor plan. 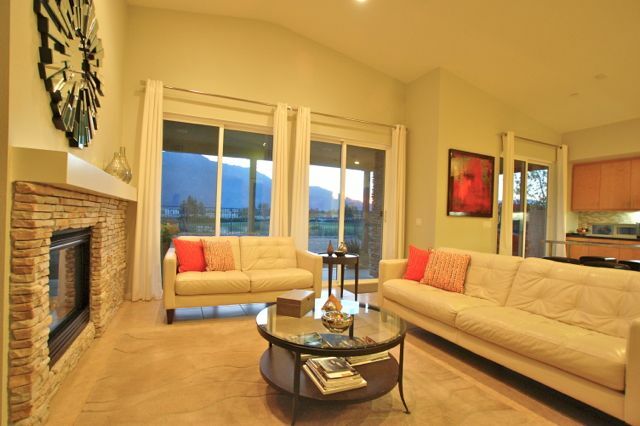 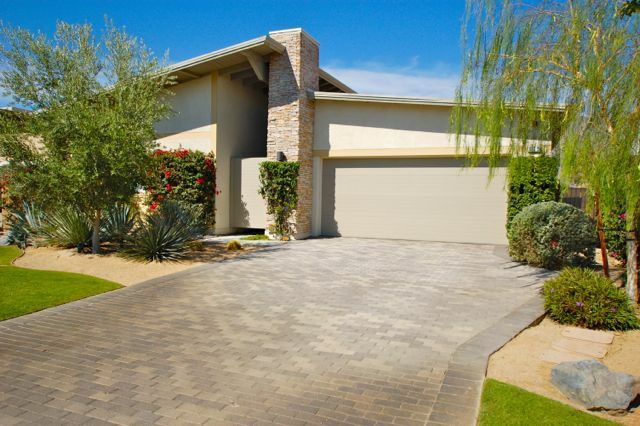 With the backdrop of mountains, this home truly the epitome of Palm Springs living. 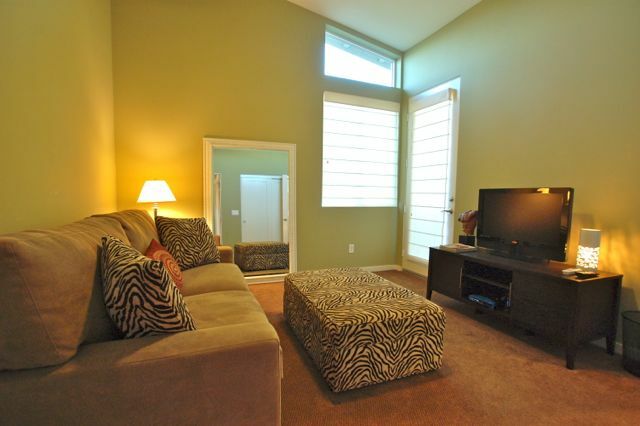 The Living Room with it's windows to the back yard an fantastic view is positively stunning. 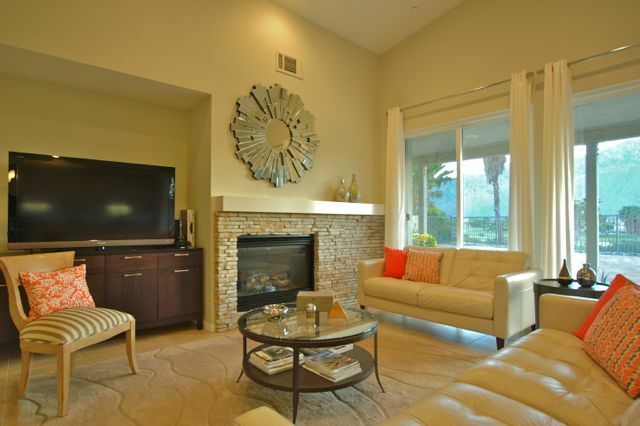 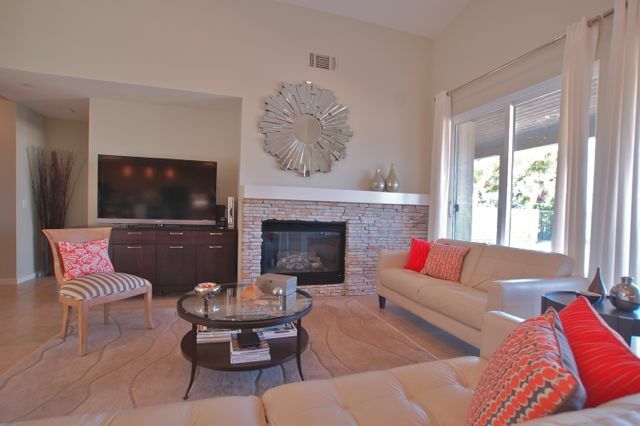 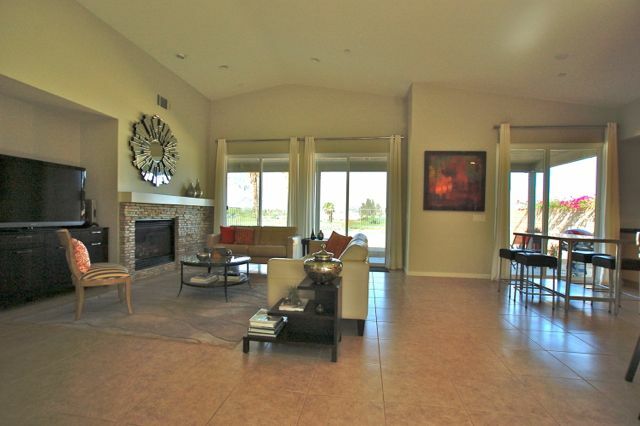 Vaulted ceilings, the stack stone gas fireplace and the designer colors make this room warm and inviting. 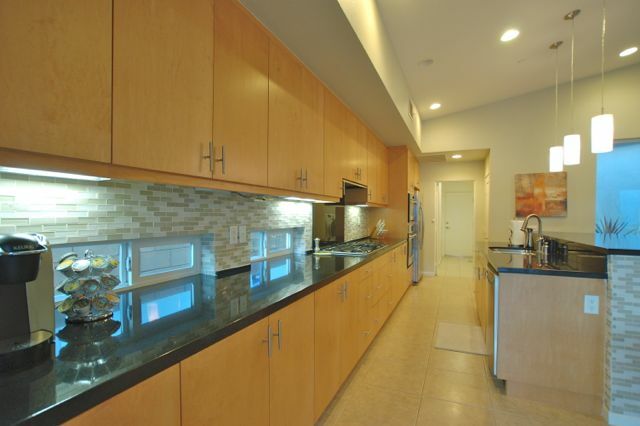 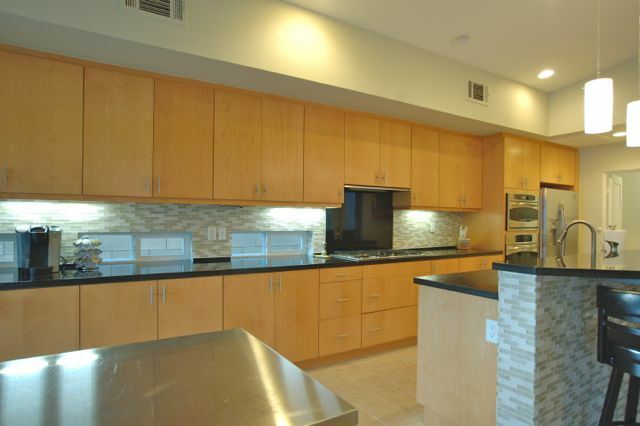 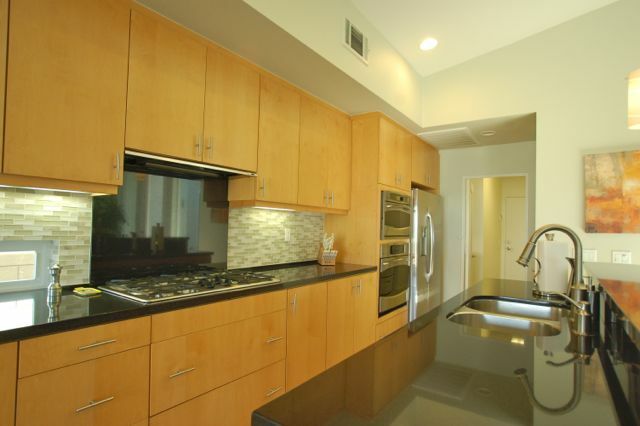 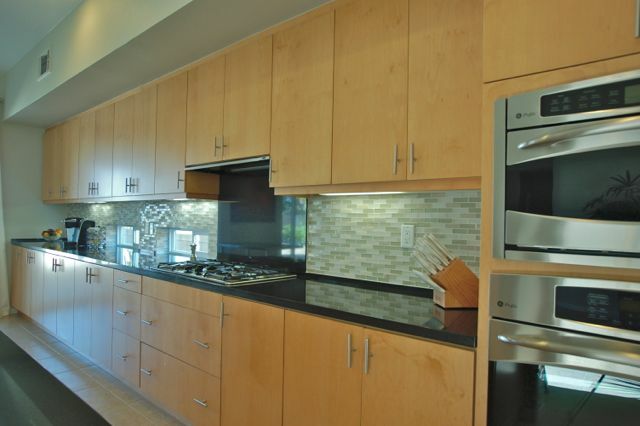 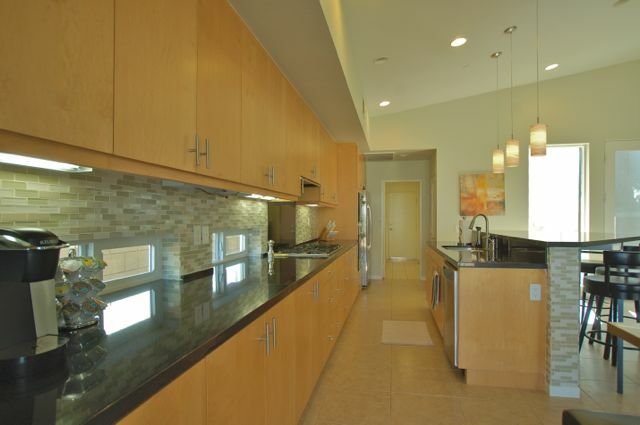 The modern kitchen with granite counters, glass tile back splash, stainless steel appliances that includes a double oven, is perfect for the person who likes to cook. 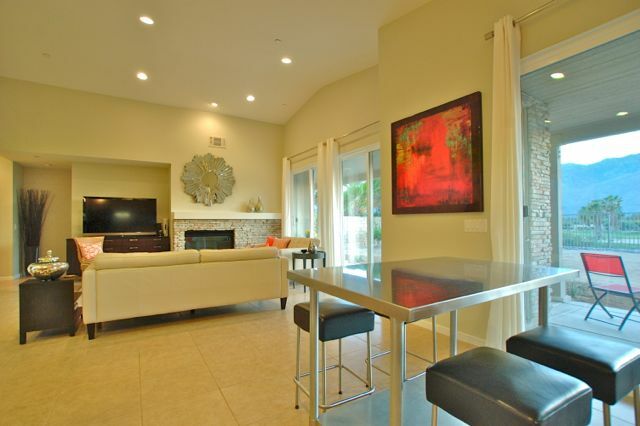 The adjoining dining room space can be as formal or as casual as you like. 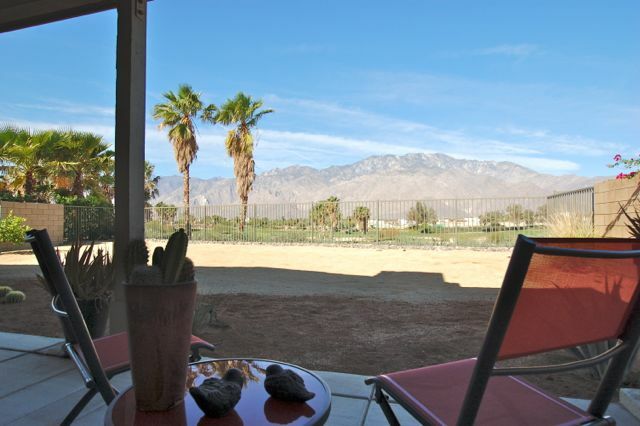 Both allow you to drink in the mountain views. 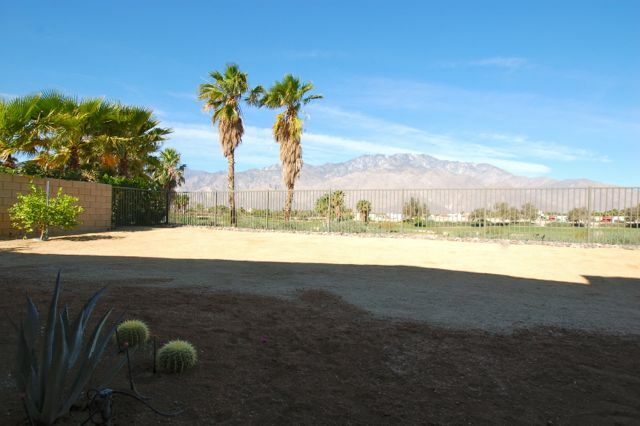 The back yard is waiting for your vision. 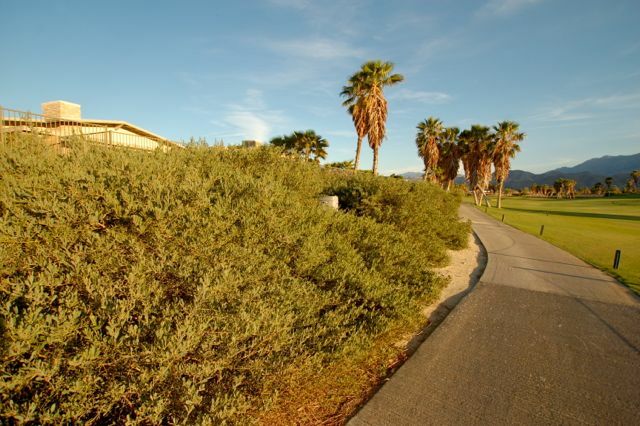 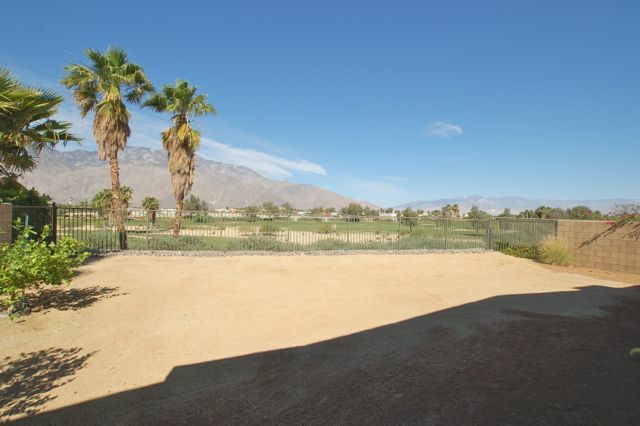 You can make this large private yard, which is on a berm above the golf course, into the back yard you had always dreamed of having. 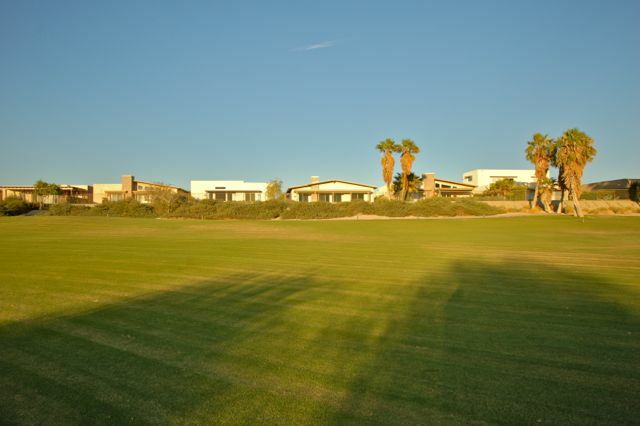 These photos include photos of the house from the golf course so you can see how it is shielded from the view of golfers. 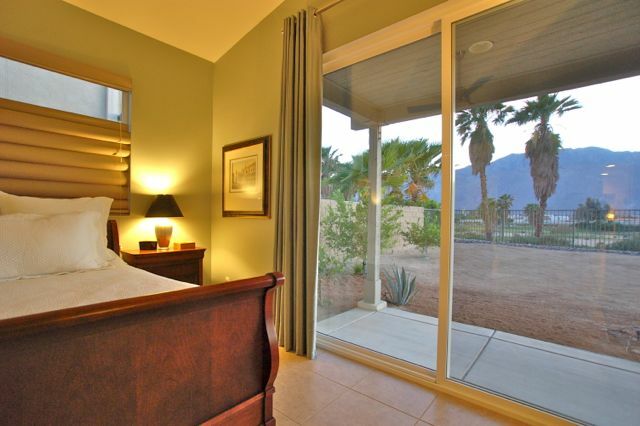 Who wouldn't love waking up to see the mountains just outside the bedroom window. 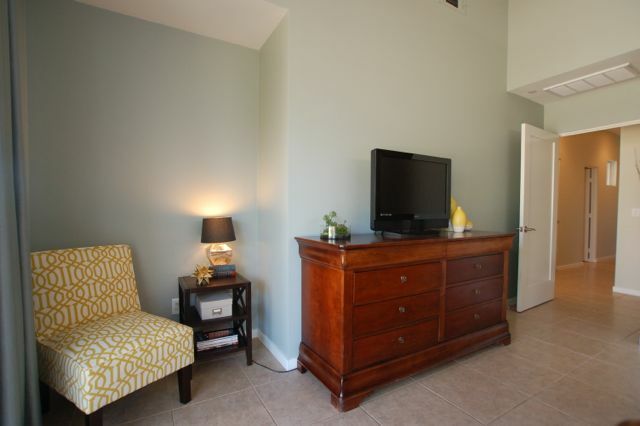 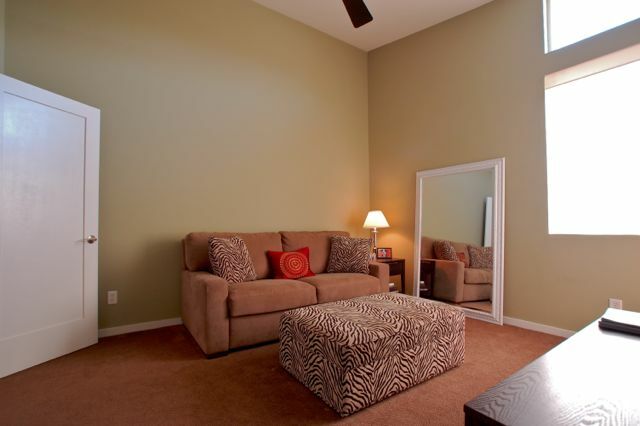 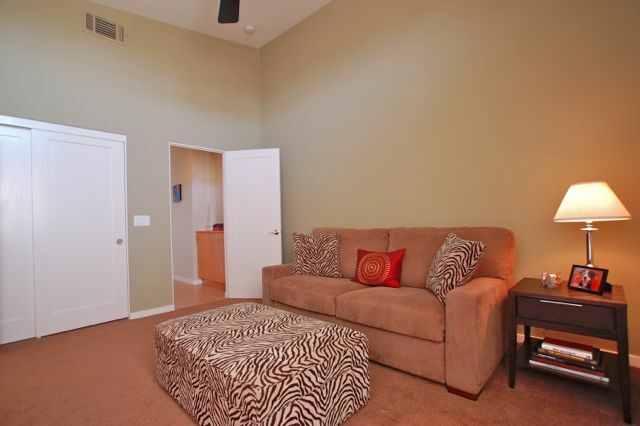 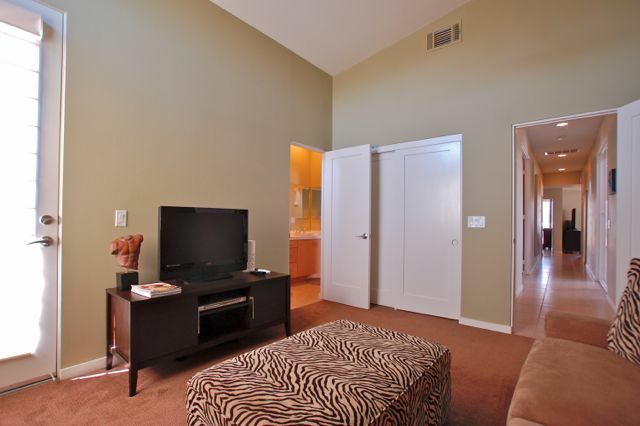 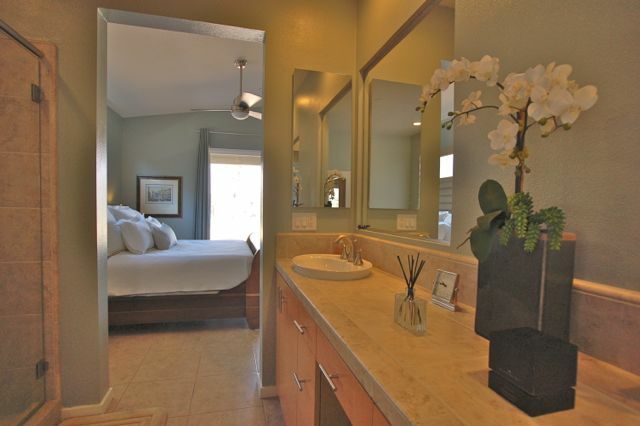 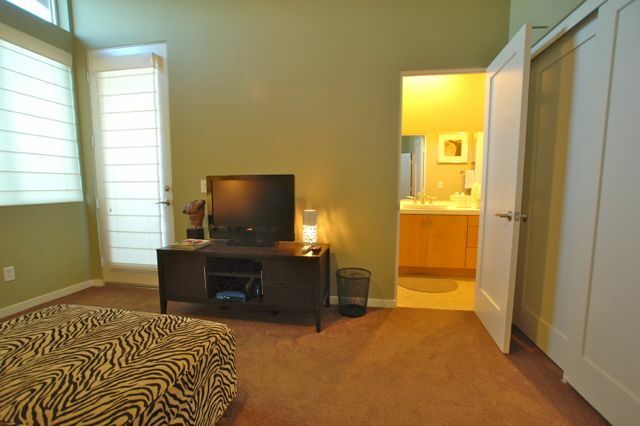 This Master bedroom really is wonderful, both in size and its amenities. 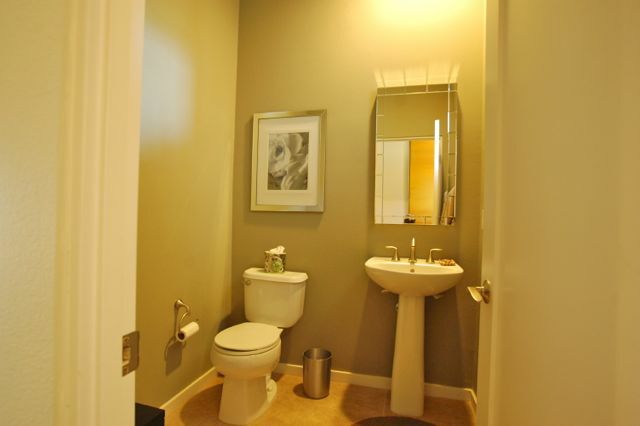 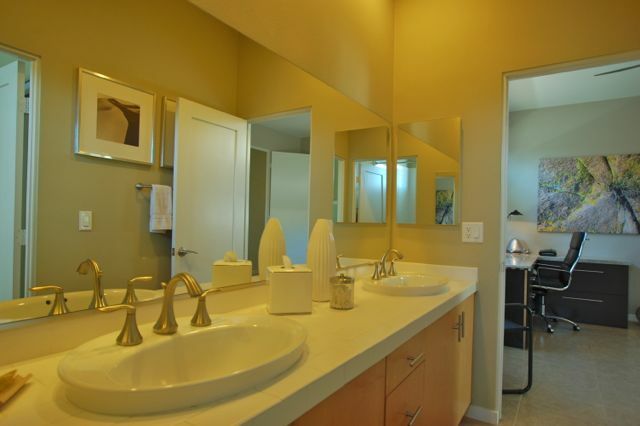 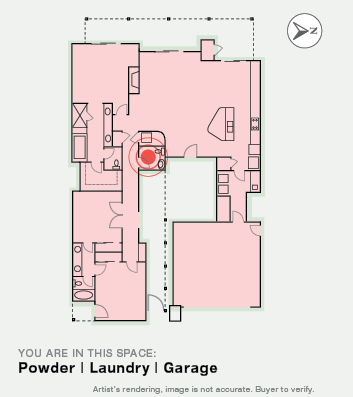 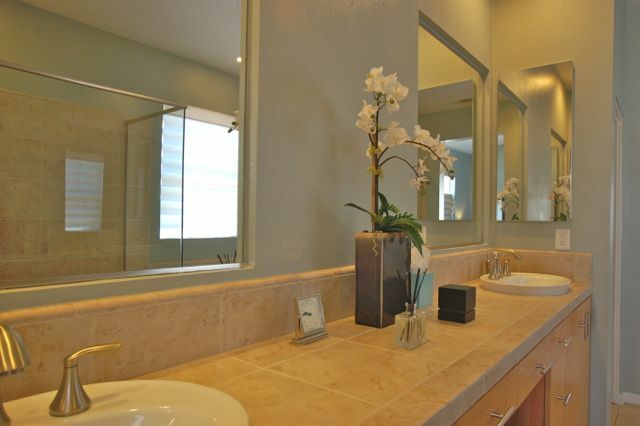 The powder room is just off the main hall closest to the living room for easy access. 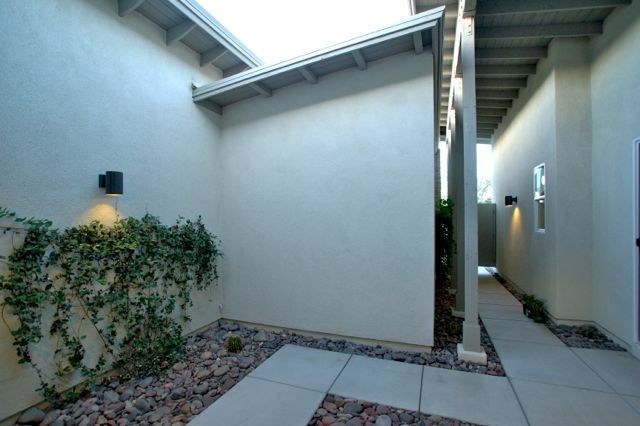 The second bedroom, seen as an office here, has a large closet and direct access to the Jack-and-Jill bath between it and the third bedroom The double doors to the hallway allow you to see and easily access the sliding doors off the courtyard entry to the home. 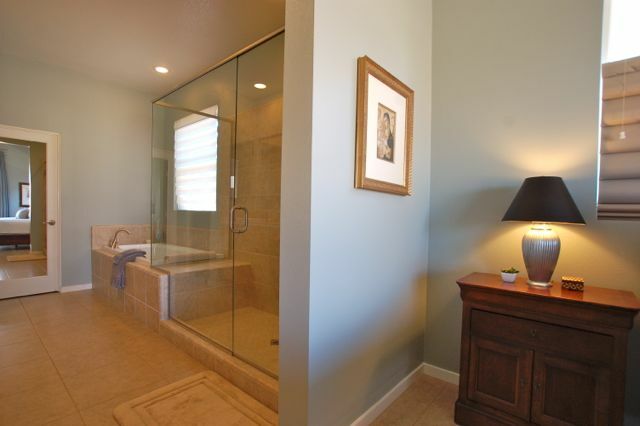 The large bath between the two front bedrooms has a double sink and bath and toilet room that can be closed off separately. 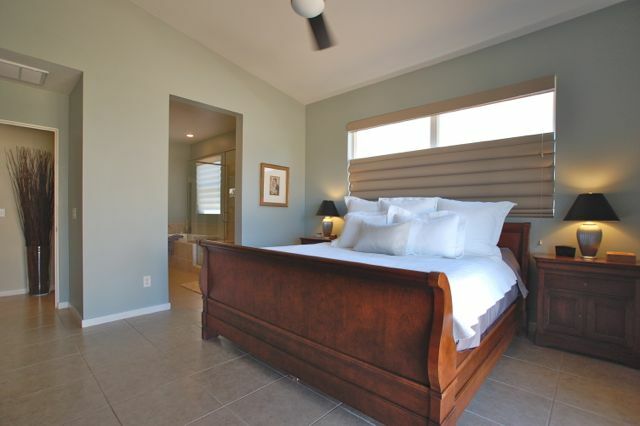 The front bedroom has its own patio and has a vaulted ceiling so that it's generous size seems even larger. 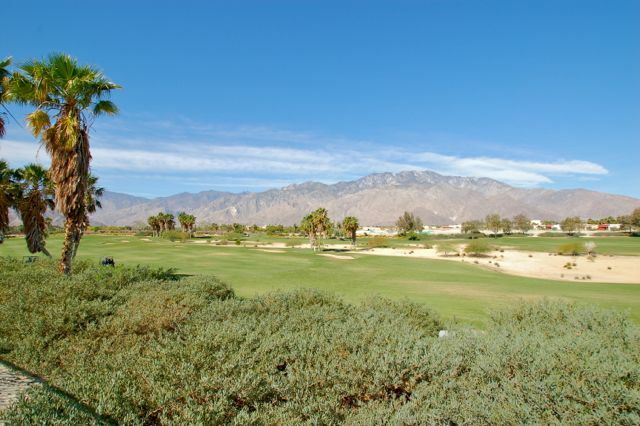 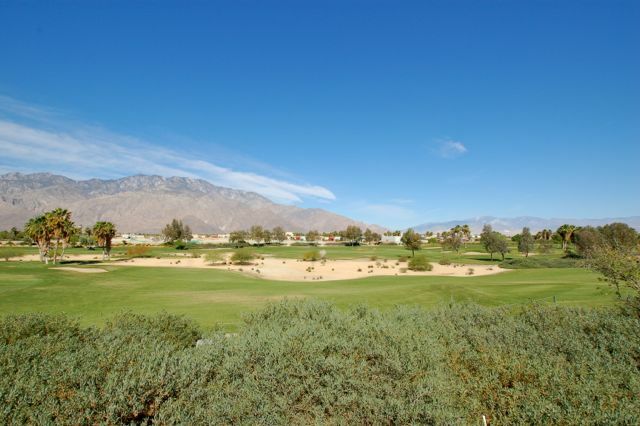 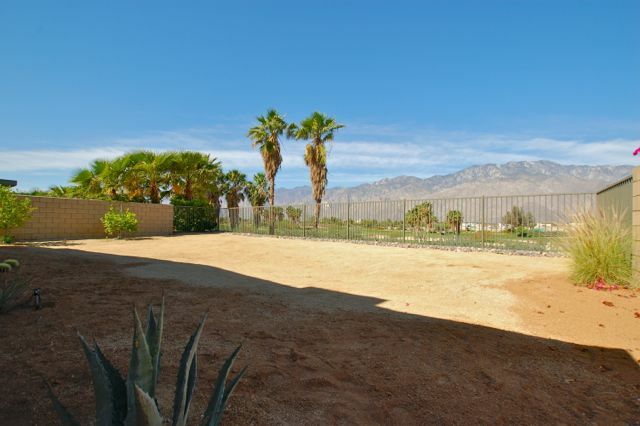 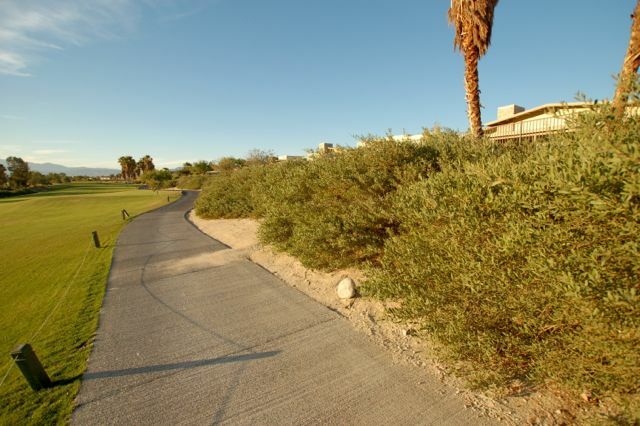 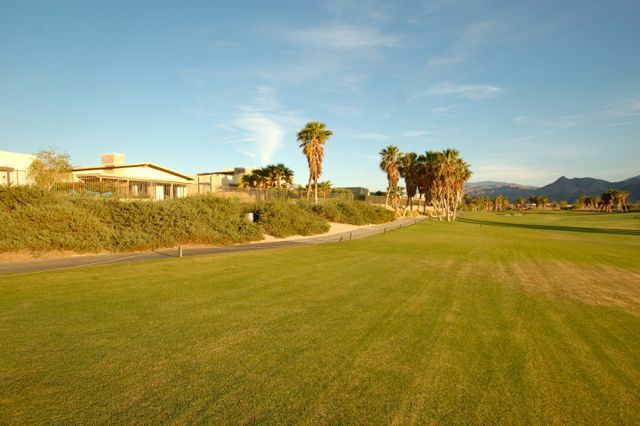 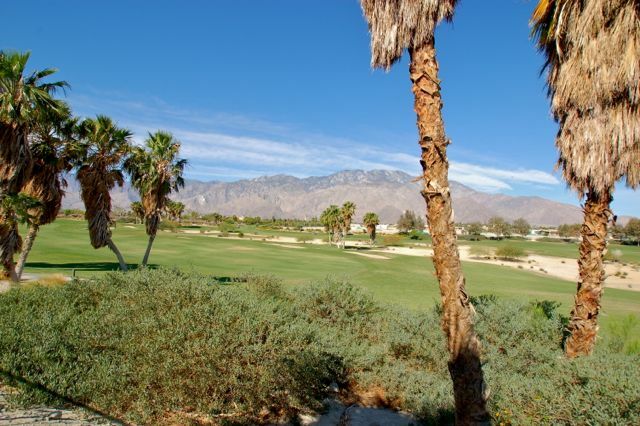 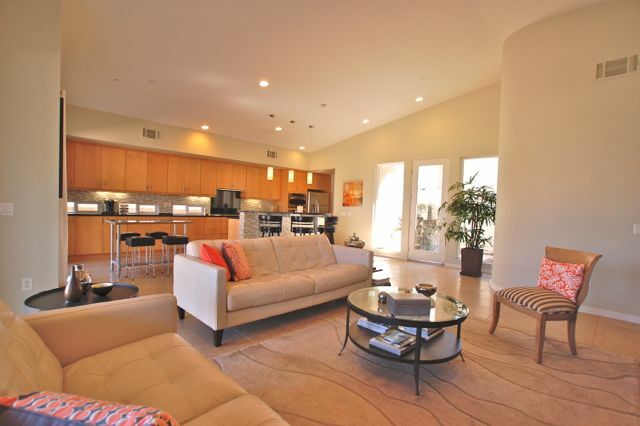 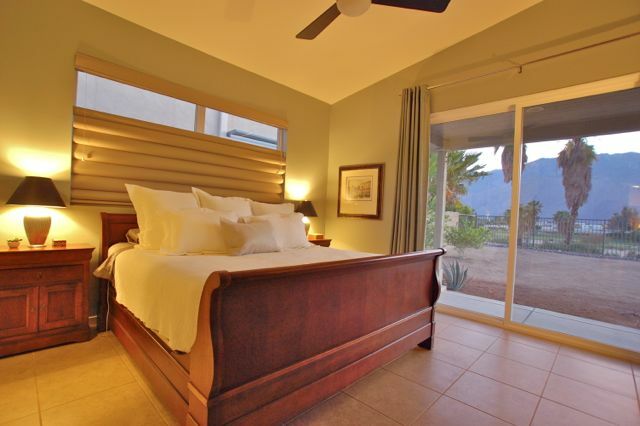 This extraordinary property provides one of the best views in all of Palm Springs. 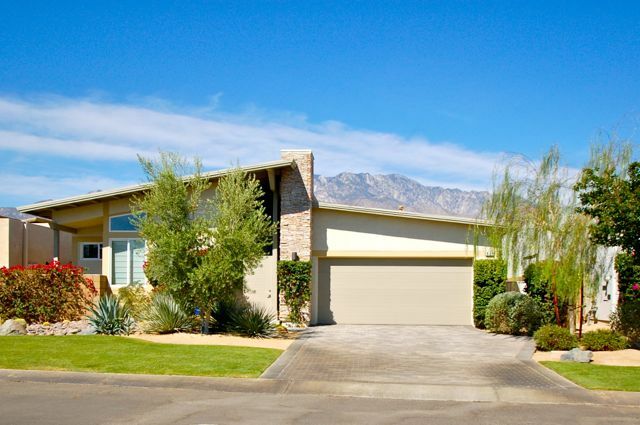 Built above the fairways of the Escena Golf Club, this three bedroom home has nearly unobstructed mountain views across beautifully manicured lawns. 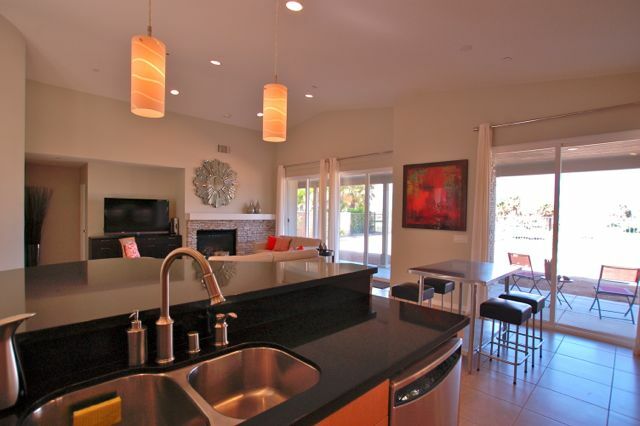 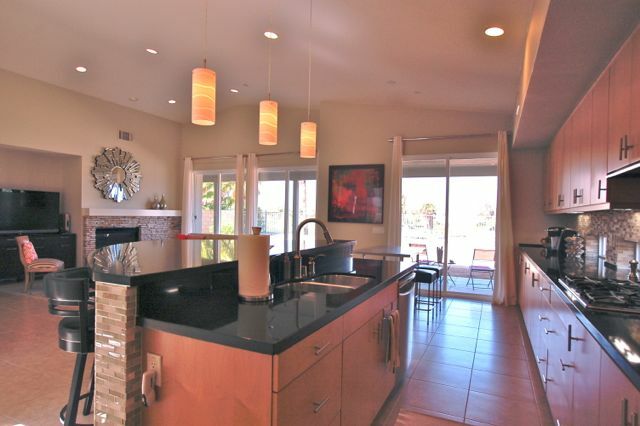 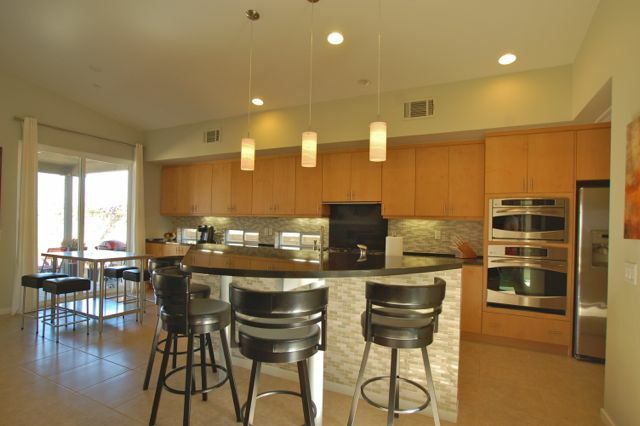 The home’s open floor plan combines the living room, dining area, and beautiful kitchen, into a single vaulted space. 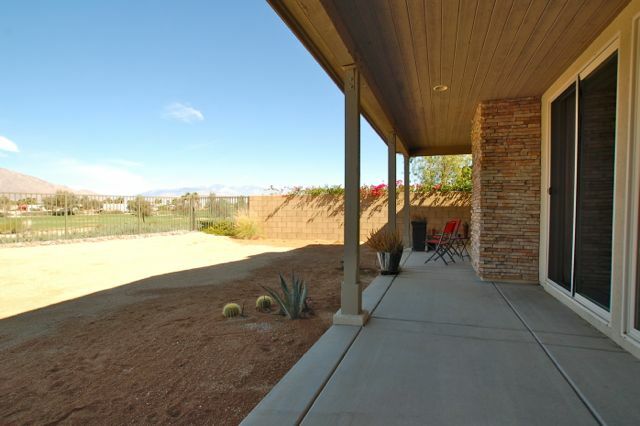 A wall of windows and sliding doors, lead to the covered back patio. 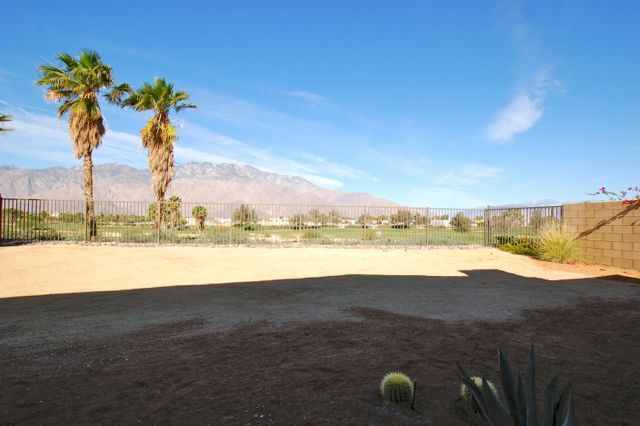 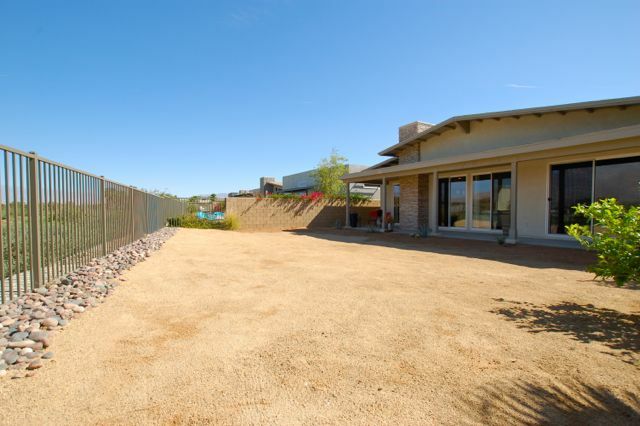 Beyond, the undeveloped yard is ready for you to create the pool and spa of your dreams. 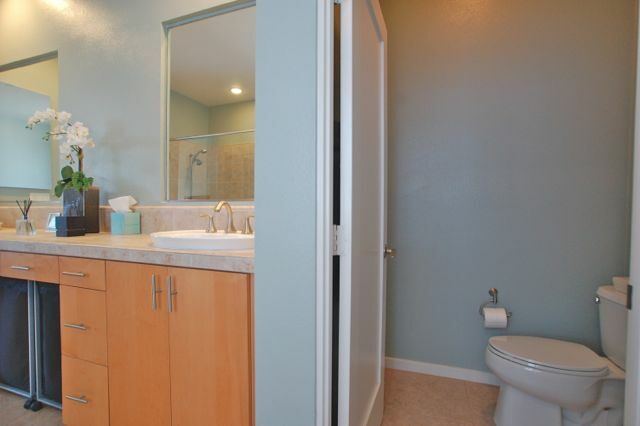 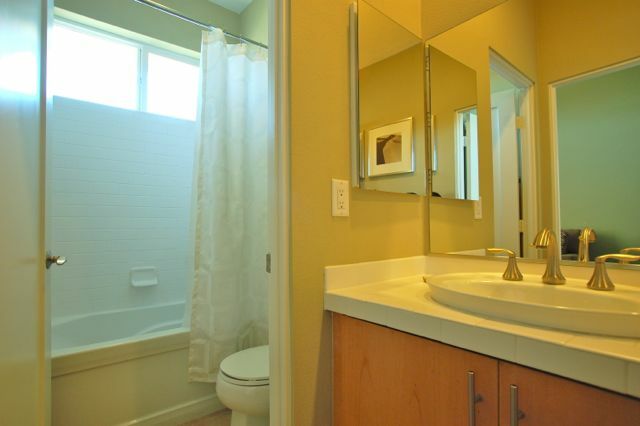 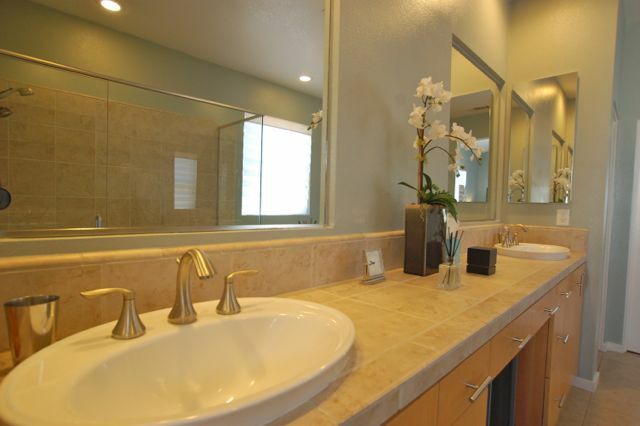 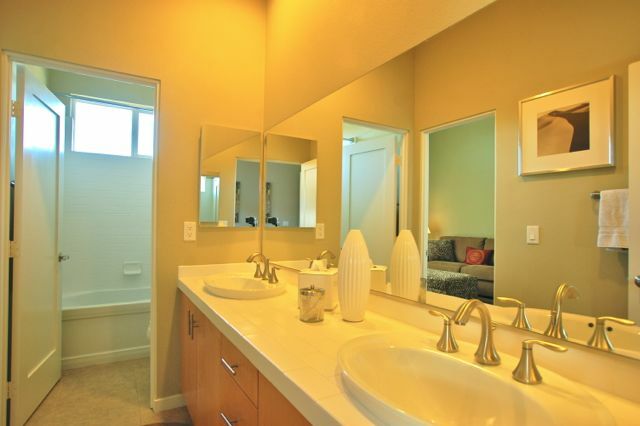 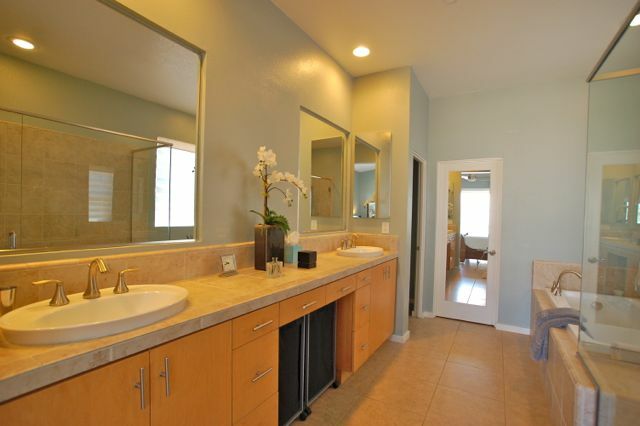 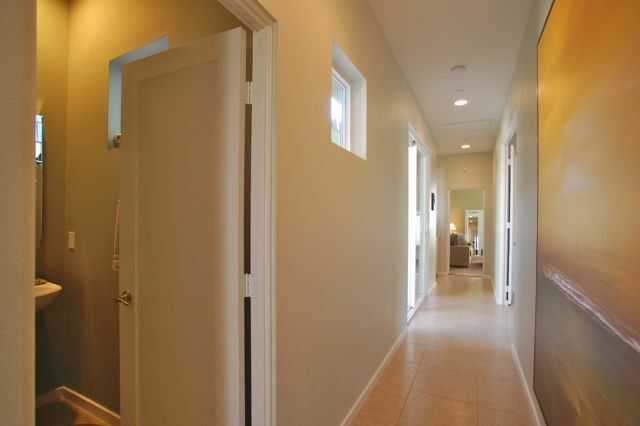 Also opening to the back of the home is the large master suite with oversized bath and walk-in closet. 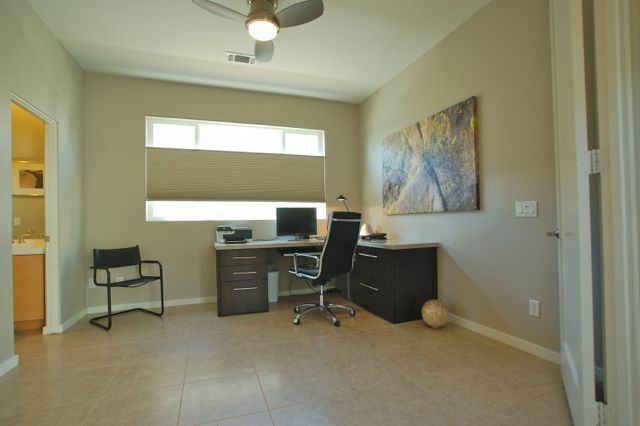 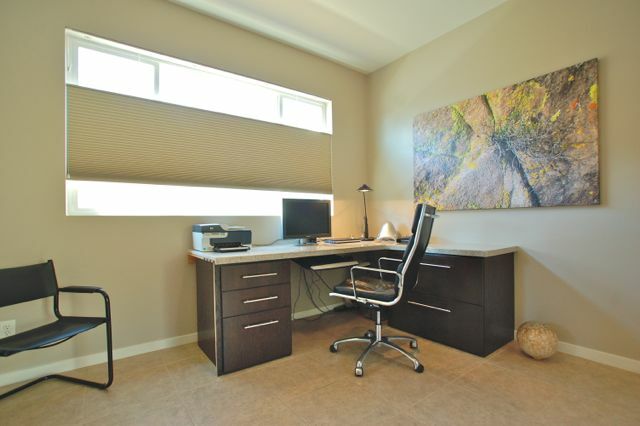 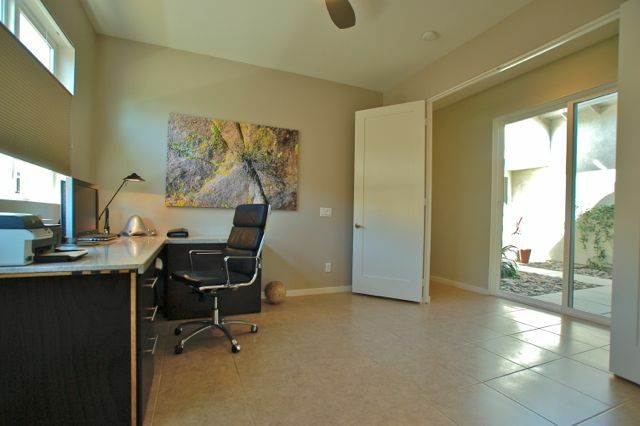 The middle bedroom, with double doors off the hallway, easily doubles as an office. 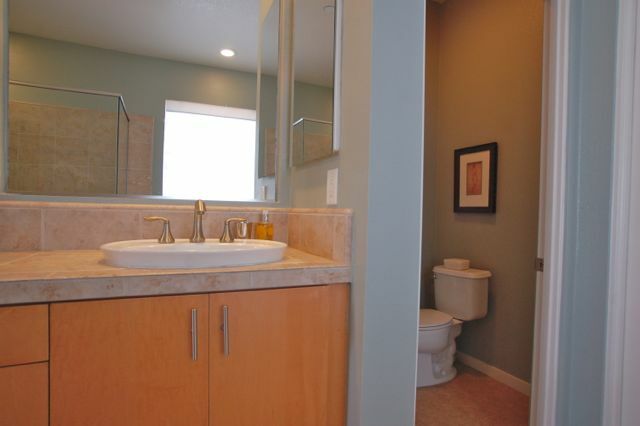 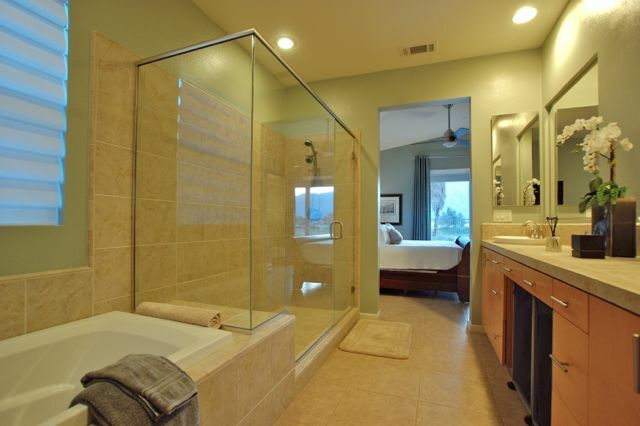 Finally, the front bedroom, which shares a bath, has a vaulted ceiling, lots of light, and a separate patio. 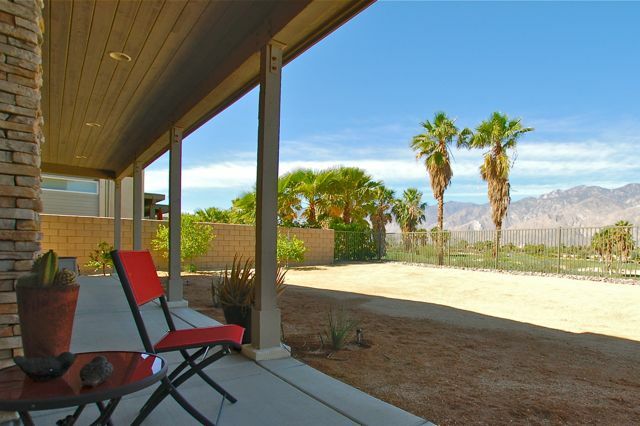 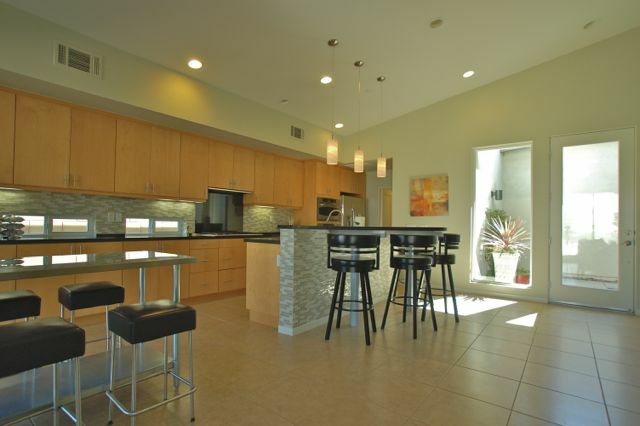 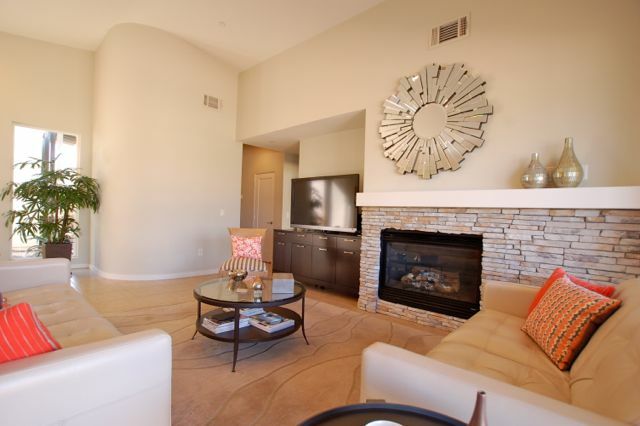 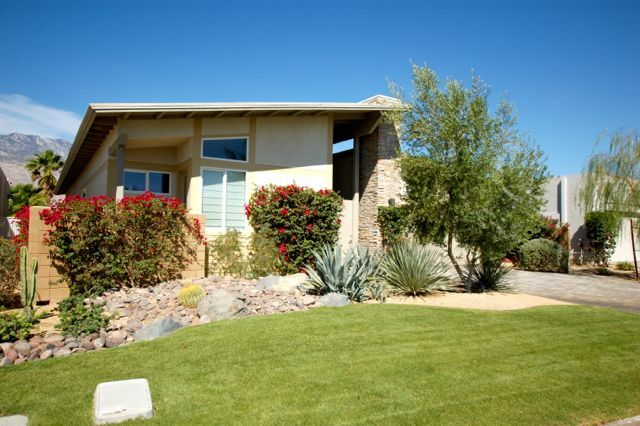 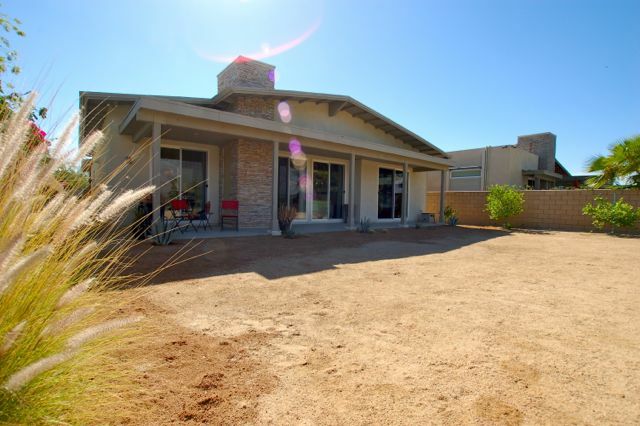 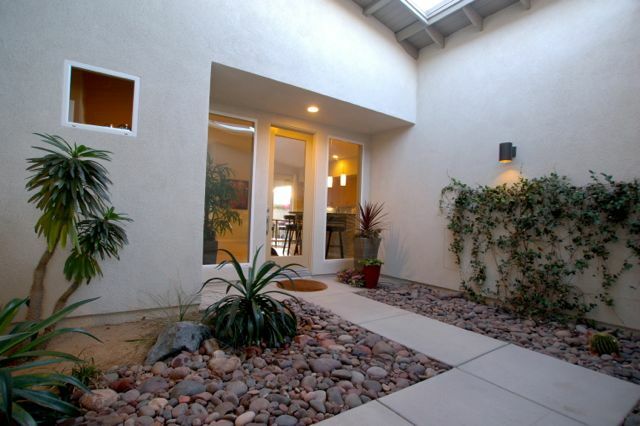 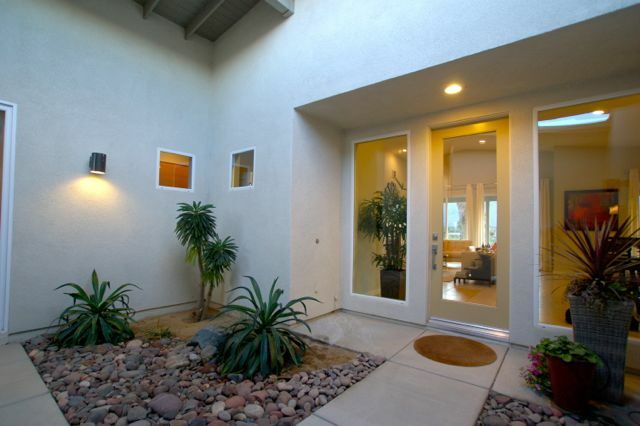 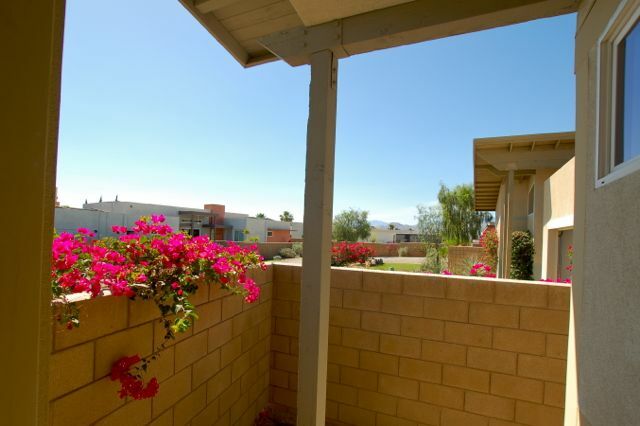 Don’t miss this opportunity to enjoy effortless desert living.